Trying to explain just how awesome the 2016 Ford Mustang is in words is a pretty big challenge. Yes, the pictures show you how incredible this muscle car is, but there is no way you can read this and truly understand the raw and exciting power this car brings to the table. 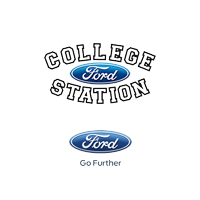 Come on down to College Station Ford, talk to one of our staff, and take this vehicle for a test drive. You’ve got to get this car on the road to see what sets it apart from the rest of the pack.